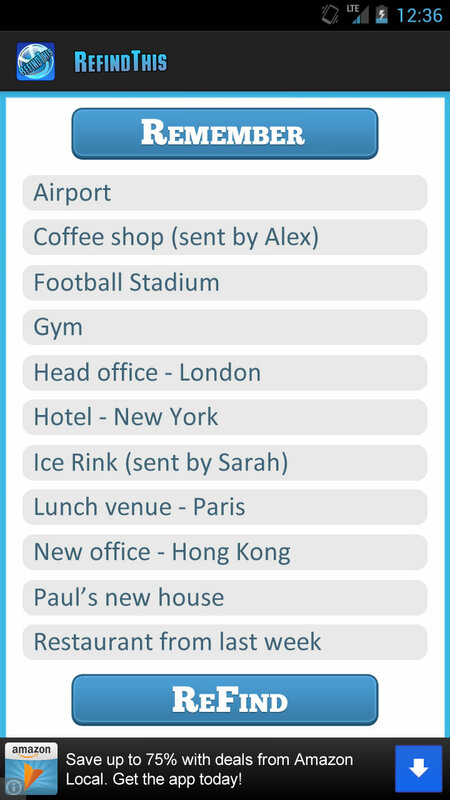 RefindThis is like a sat nav directory that allows you to name and store locations to your phone to use later. You can then retrieve and navigate back to a location whether it's a restaurant, a club or even where you parked your car. 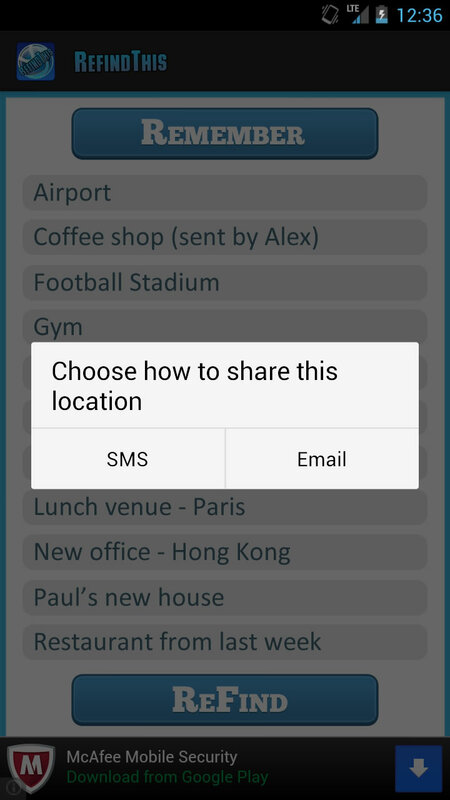 You can also send locations to people by SMS or email so everyone will know where they are supposed to meet. 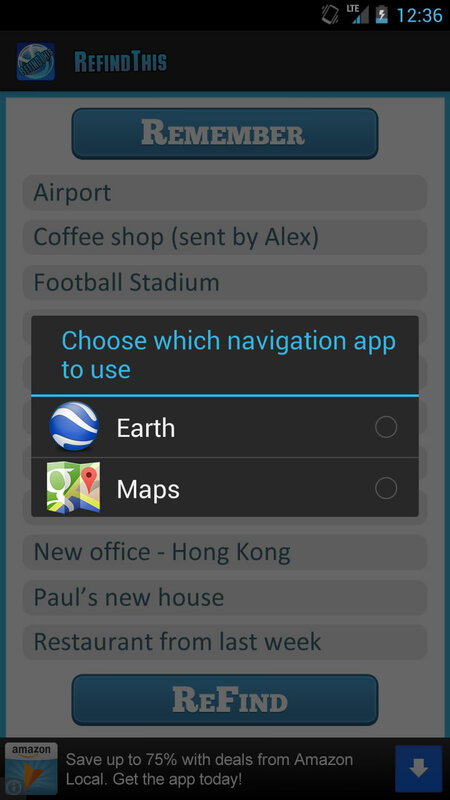 Whenever you need to find your way back somewhere try RefindThis – it’s like a directory of your favourite places. RefindThis is free and available at both GooglePlay and GetJar. Copyright © 2013 RefindThis.com All rights reserved.